see and hear the pedal in action! 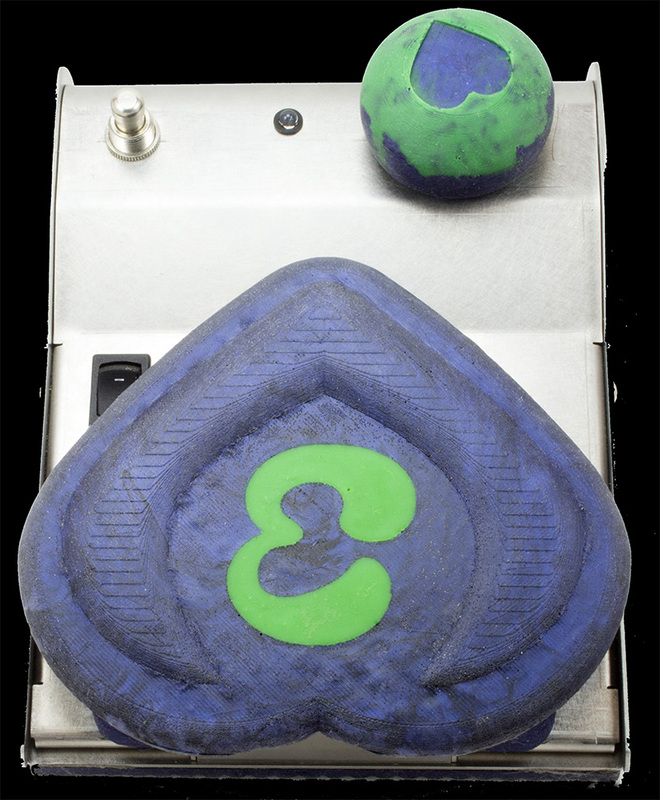 The Effigy Labs Control pedal is the most playable, responsive MIDI controller you’ve ever felt. It was designed to give added dimension and control to the musician. It’s mind-bending playability has solved some key problems for musicians. Our patented sensors work in combination with our unique T-balanced foot mechanism. This pedal allows for a specifically balanced T shape compression zones for left, right, and forward sensor control over almost any MIDI parameter. This is all balanced with our compression top plate (the upside down heart with our green E logo in the center) for a very smooth ride. 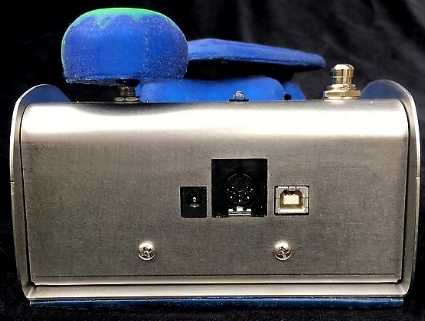 The Effigy Control Pedal is equipped with a MIDI jack and USB port to allow direct control of your MIDI keyboards and processors or your favorite music applications. Re-mapping controllers at the computer or keyboard makes the three quick access modes a versatile way to use its MIDI functions. Of the three sensor regions, the forward position allows for the movement between the left and center or right and center positions. This is very musical for smooth morphing between sounds. Up to three MIDI commands can be expressed from a single position. This opens up many possibilities to morph from one effect to another, or to control multiple devices on different channels at the same time. Roll your own aftertouch effects. And much more. The Effigy "Extreme Control" Knob gives the user a switchable sensitivity control or a fourth MIDI controller you can program to your liking. The sensitivity mode allows for contouring of the overall performance of the three pressure zones. The select switch allows you to make a selection or tap into a few more hidden features like choosing a preset or changing the global MIDI channel. All settings are remembered and stored into one of five internally stored presets. Each preset is a group of three modes which control the left, right, center positions and Effigy knob settings for instant recall. Switch instantly between modes with a tap and select one of the three available positions. Position 1 is left, 2 is right and 3 is center. This will choose one of the three stored modes in a preset. Internally via switch and hold selection it is possible to access all five presets stored internally. A handy app allows you to edit and build your own presets, and more. Organize and configure your favorite banks of mappings. Just connect the pedal to the USB port of your Mac or PC and launch the Web app via your favorite web browser. Select MIDI Channel, CC parameter, and set minimum and maximum values if desired. 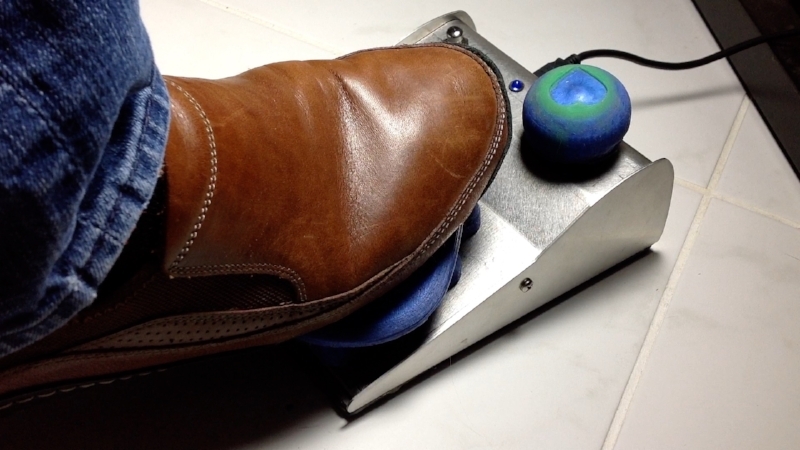 Adjust controller curves and make fine adjustments to the performance of the pedal. Set global settings and send presets to the pedal. The power and expressivity of this pedal is sure to delight and inspire your creativity and we feel strongly that it can offer a new dimension to your playing. Free your hands up and keep them on your instrument where they belong. Expressive keyboard sustain, modulation and efx control is now at you toes. Get your foot on one today - it's a new way to play.